This service is an extended Apache Webserver, containing the program code for the Graphical User Interface (GUI). This service handles the data of workbooks, internal formula calculation, database access, load/save procedures, etc. This service provides the functionality of Jedox Integrator (ETL), Jedox Analyzer, and Scheduler. This is the Jedox OLAP server, where the “real” databases and system databases are stored. The latter is necessary to maintain internal configuration data. To end Jedox Web you have to stop all four services. 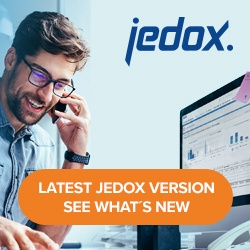 To restart Jedox Web, start the services in reverse order: 4 -3 -2 -1. After installation, the services are started automatically. The Apache Webserver component (JedoxSuiteHttpdService in Windows) is configured (apart from the standard Apache configuration via the files httpd.conf, php.ini, etc.) in the file config.php in the directory …Jedox Suite\httpd\app\etc (Windows) or /opt/jedox/ps/htdocs/app (Linux). Here you can specify the connection to a Jedox server that the GUI uses for storage of internal configuration data. You can also add and configure custom HTTP headers. The Jedox Web Core component (JedoxSuiteCoreService in Windows) is mainly configured via the file ...Jedox Suite\core\config.xml (Windows) or .../core-Linux-i686/etc/config.xml (Linux). The (main) Jedox connection is configured in the file …\Jedox Suite\core\palo_config.xml (Windows) or .../core-Linux-i686/etc/palo_config.xml (Linux).